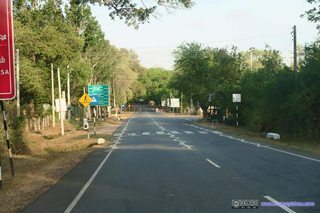 A bright sunny day as woke up in the town of Ella. 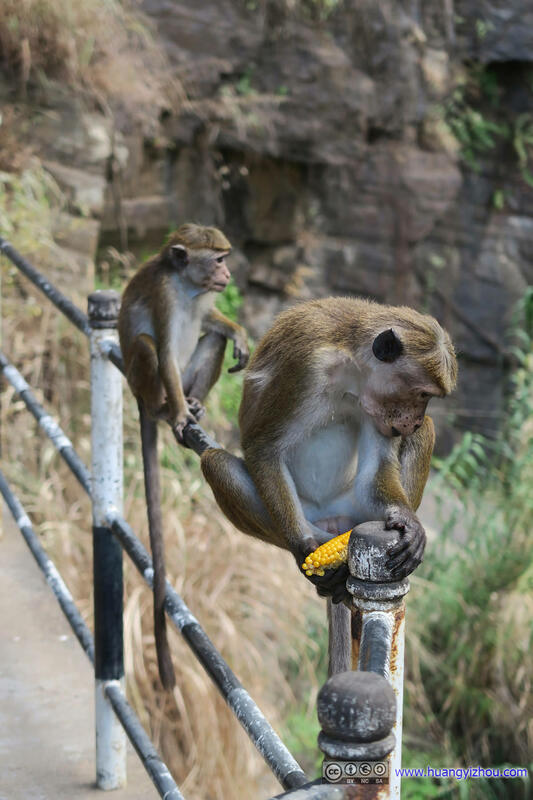 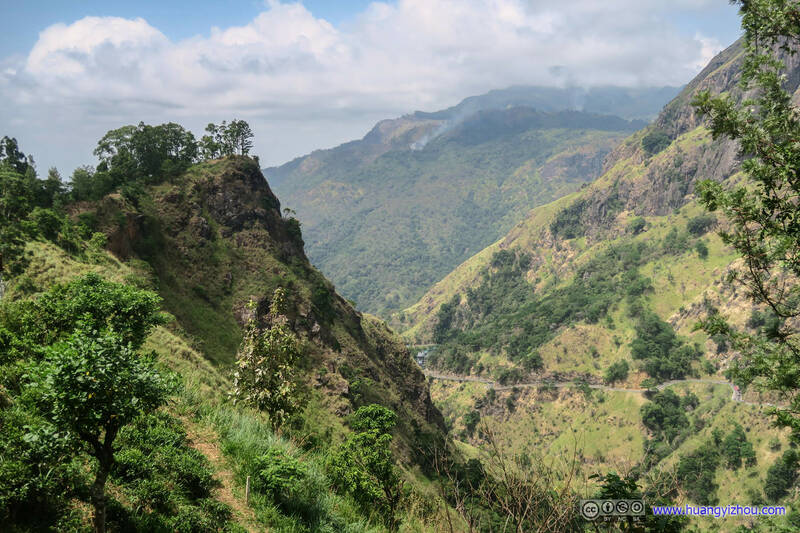 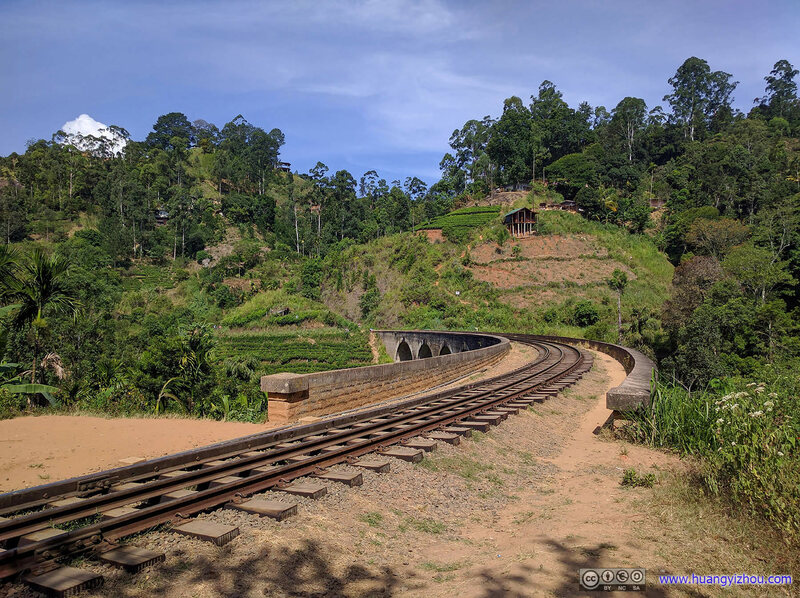 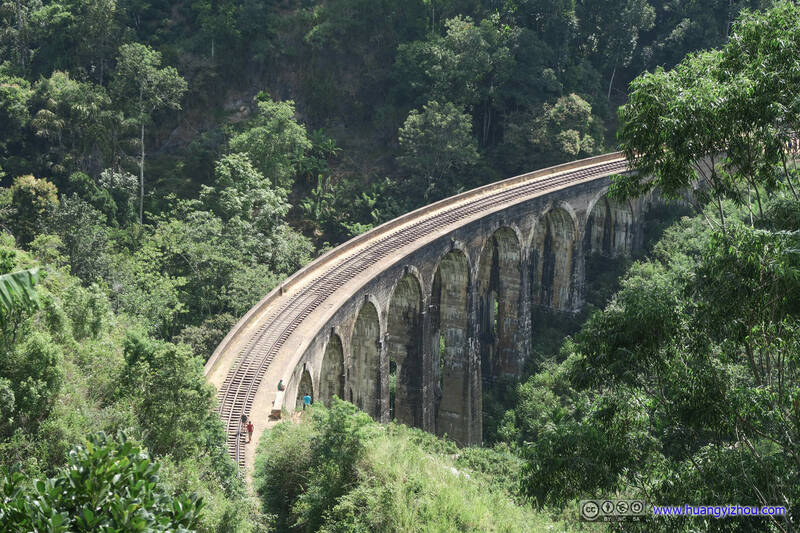 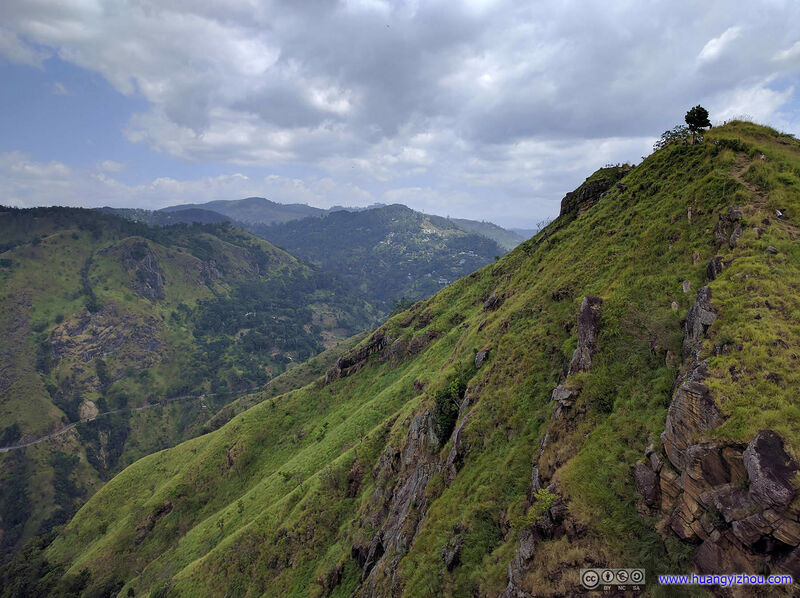 The plan of the day was to hike Ella’s Little Adam’s Peak, and visiting Nine Arch Railway Bridge in the afternoon before heading to Tissamaharama in the evening. 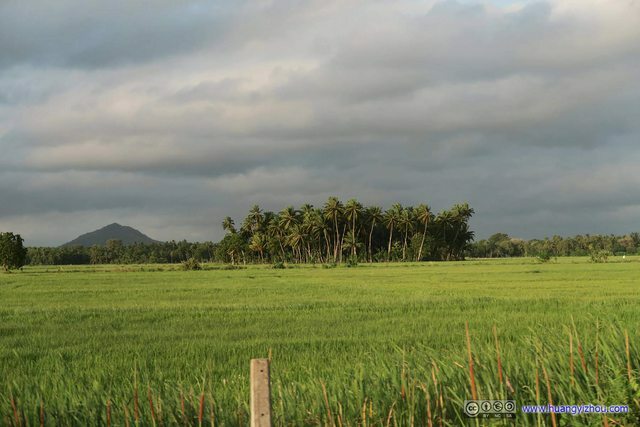 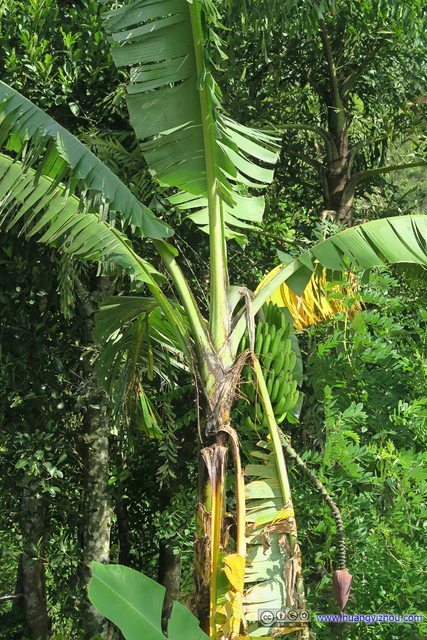 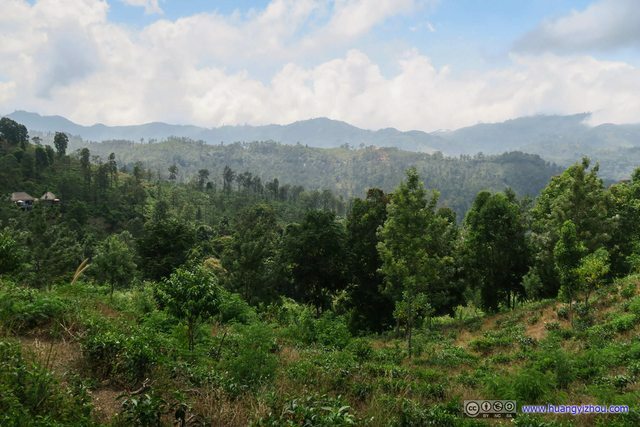 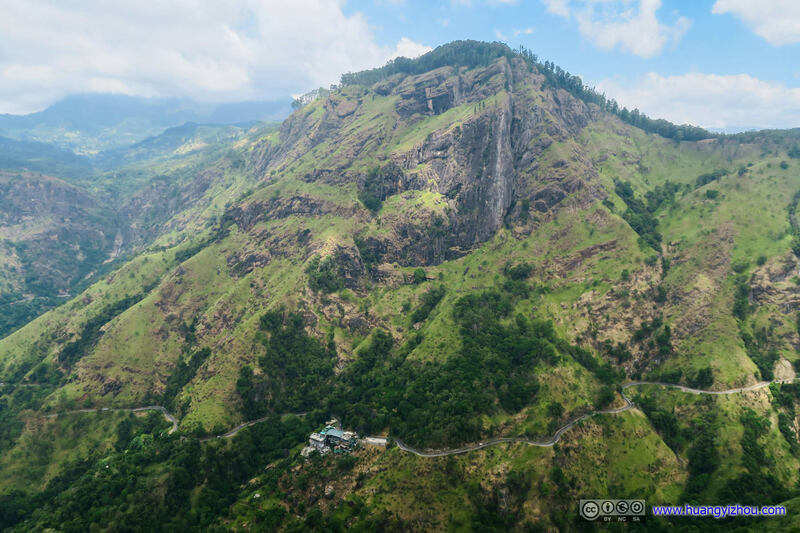 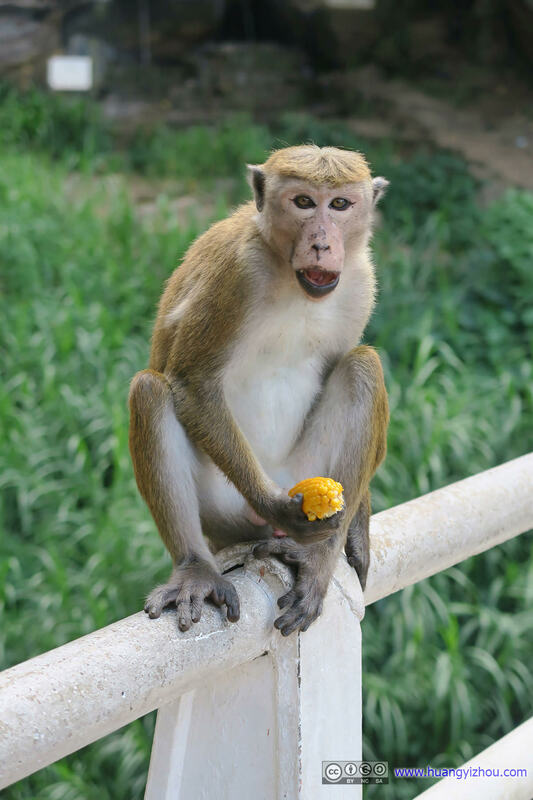 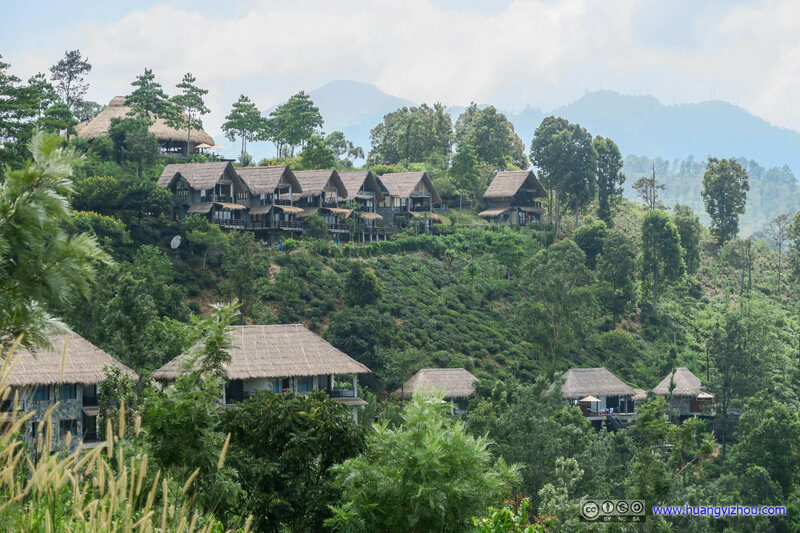 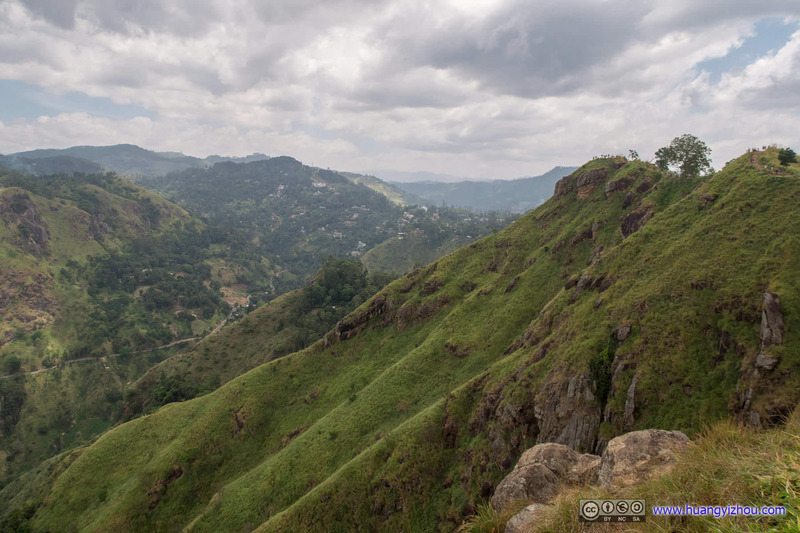 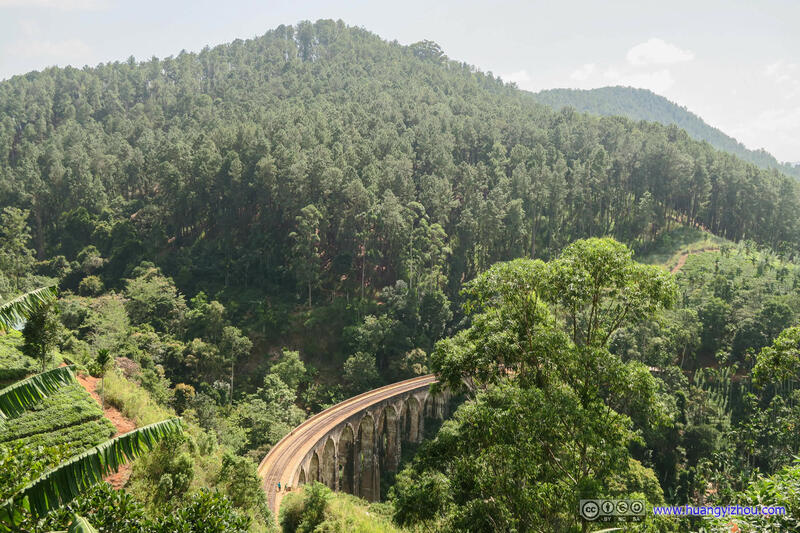 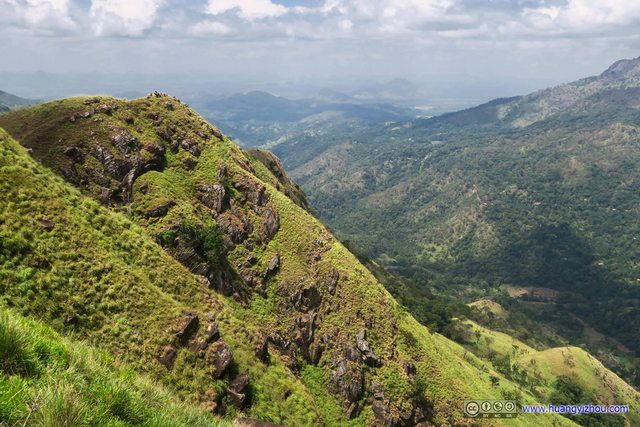 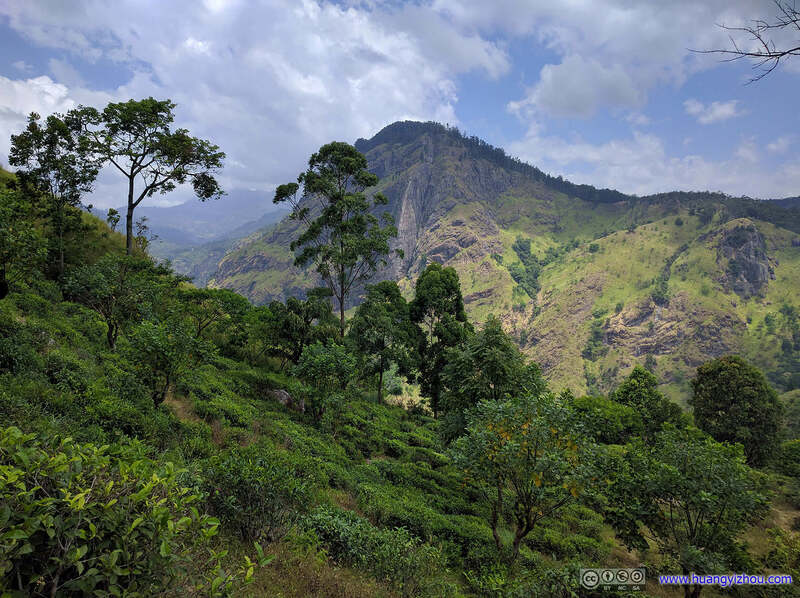 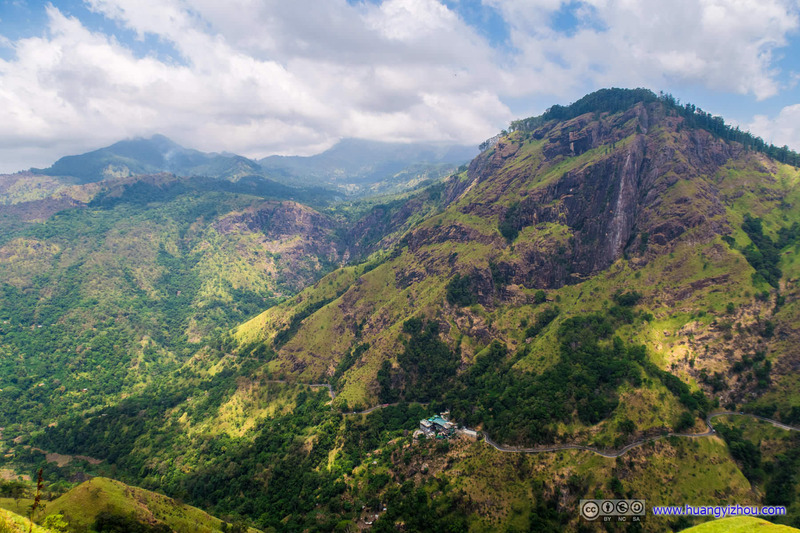 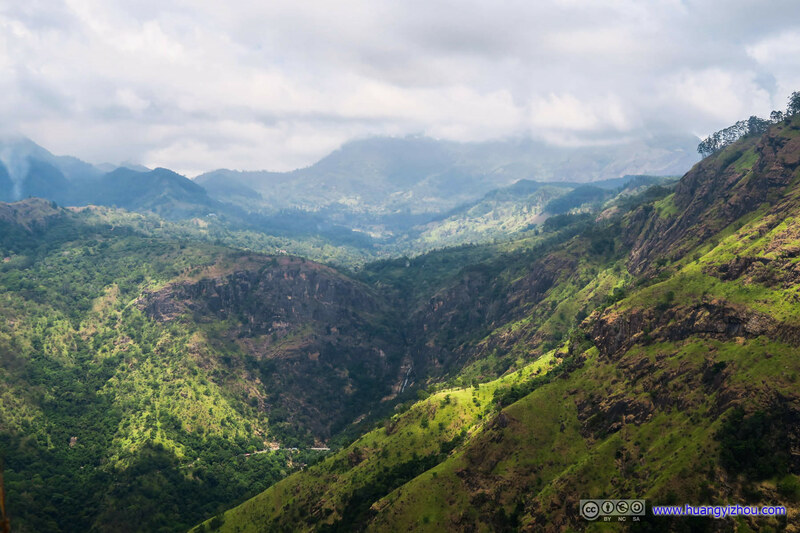 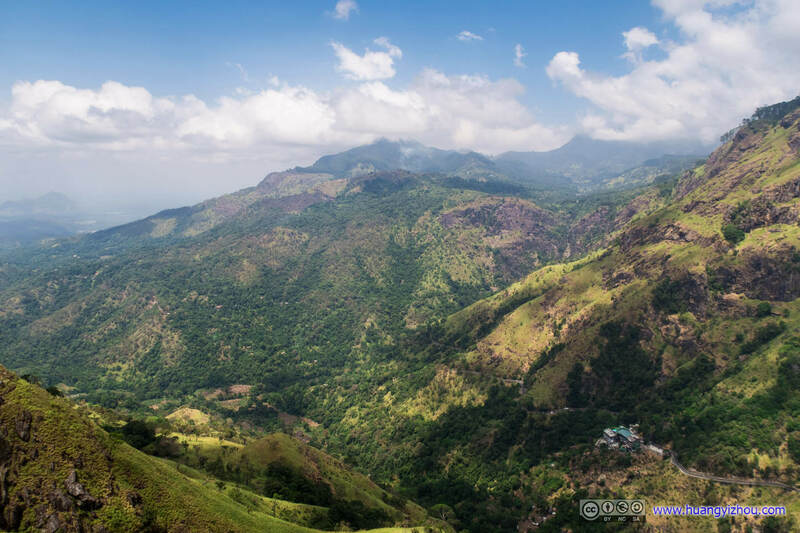 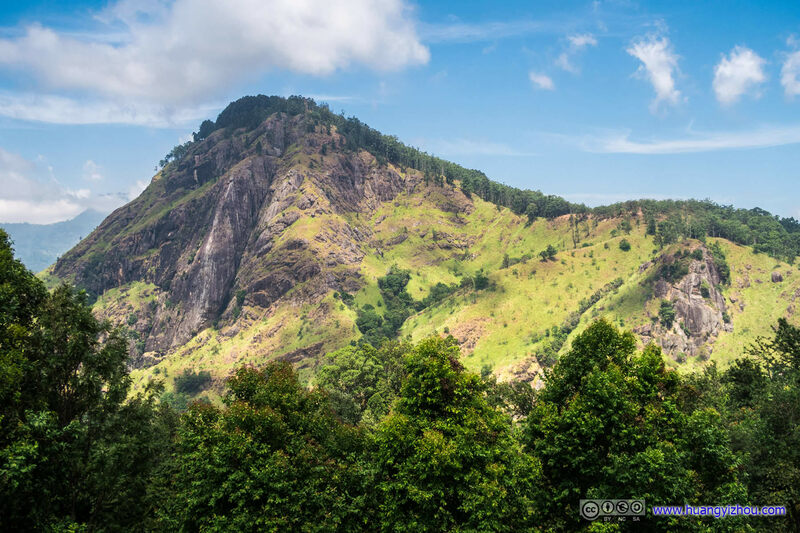 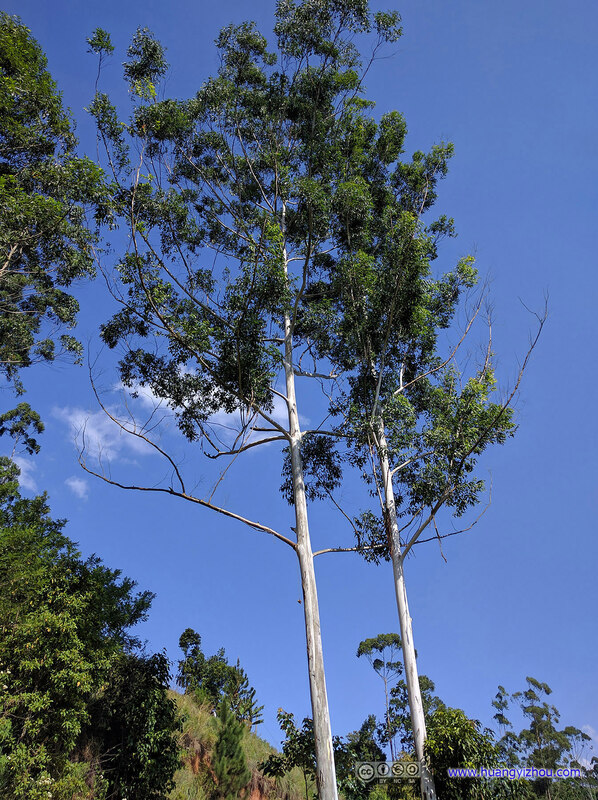 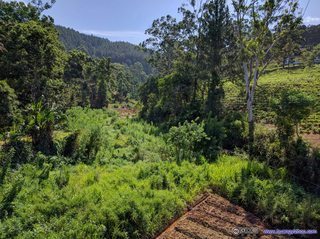 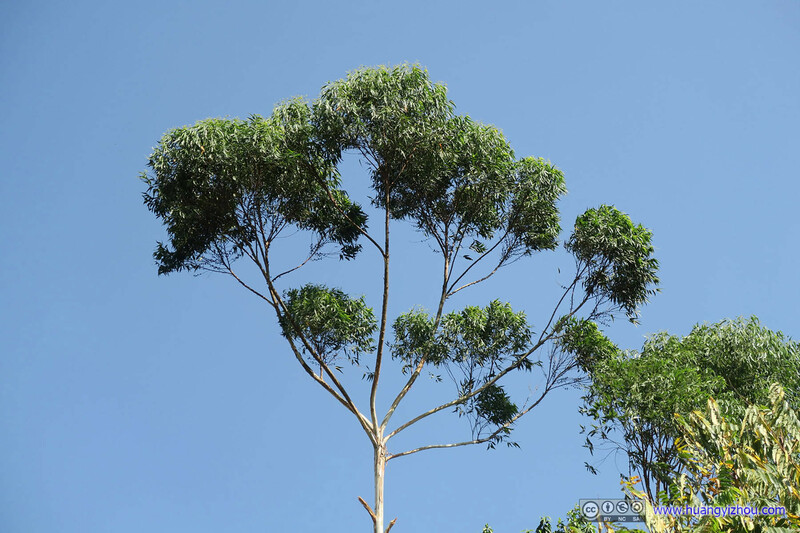 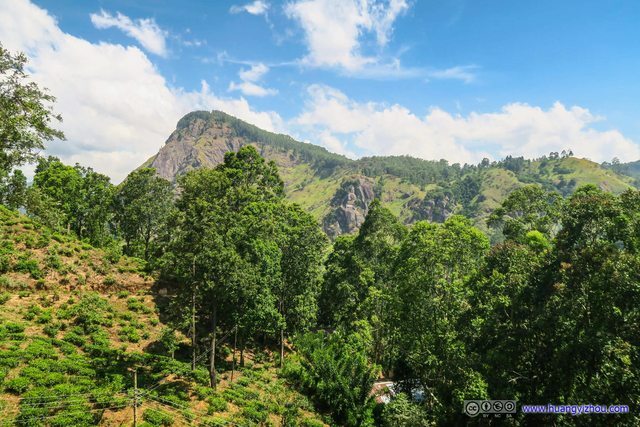 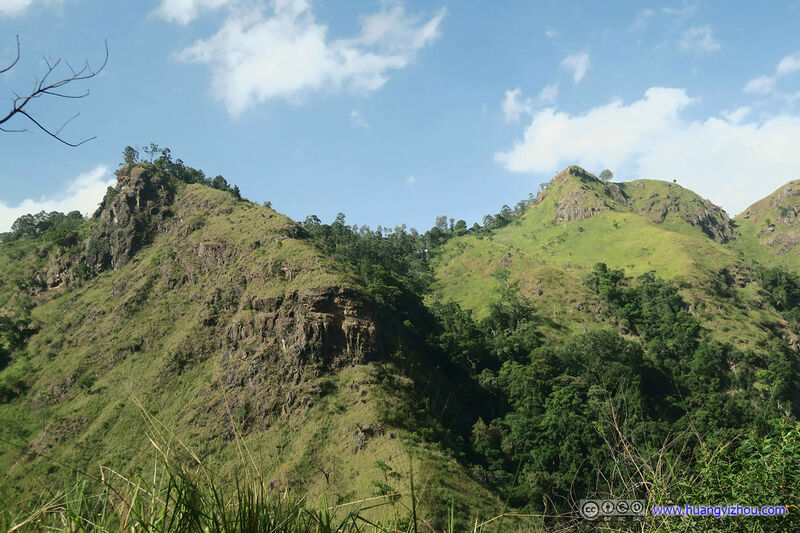 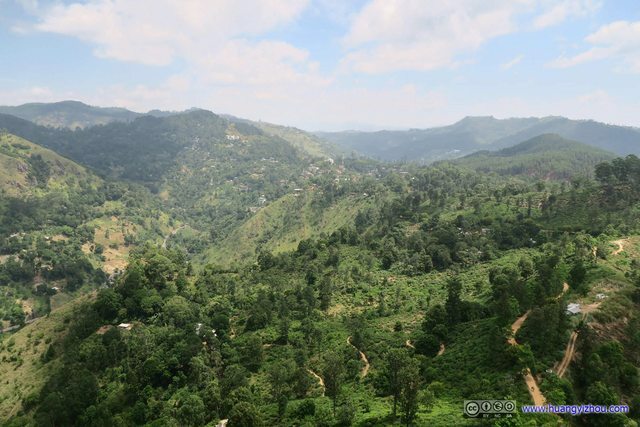 Just like Nuwara Eliya, Ella is located in Sri Lanka’s mountainous heartland. 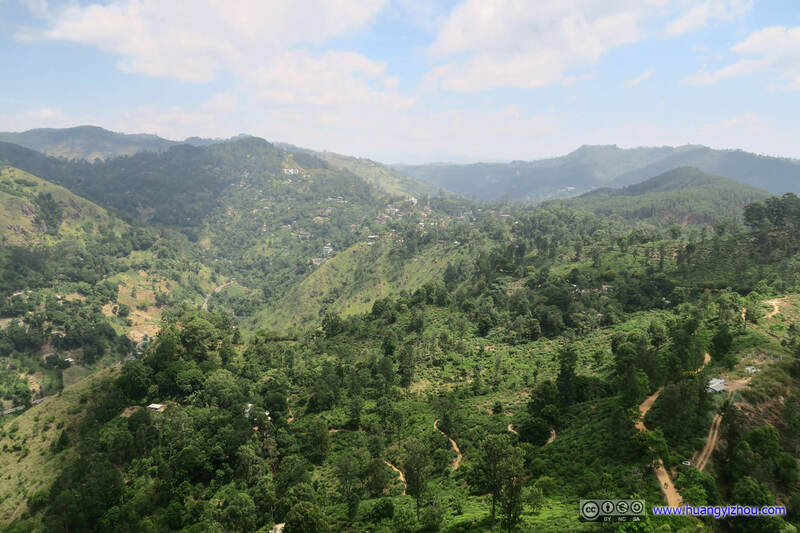 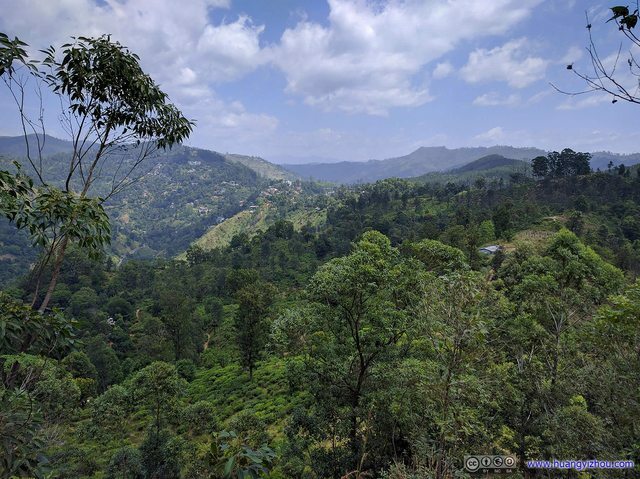 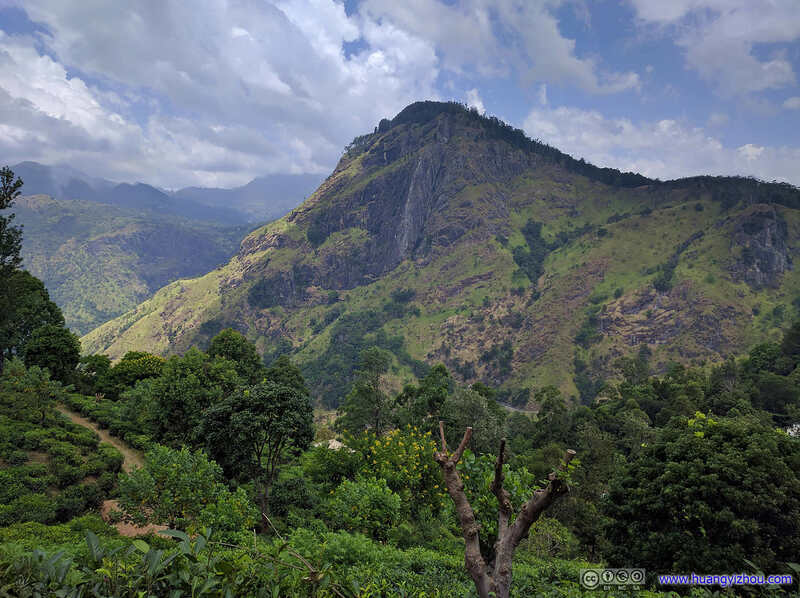 But unlike Nuwara Eliya, it’s not perpetually cloudy in July, and with a decent elevation of 1000 meters, its sunny July felt far from blistering. And it has got majestic mountains and rocks and valleys, sceneries that I was fonder of. And its Little Adam’s Peak didn’t (over)charge tickets for foreigners, for now. 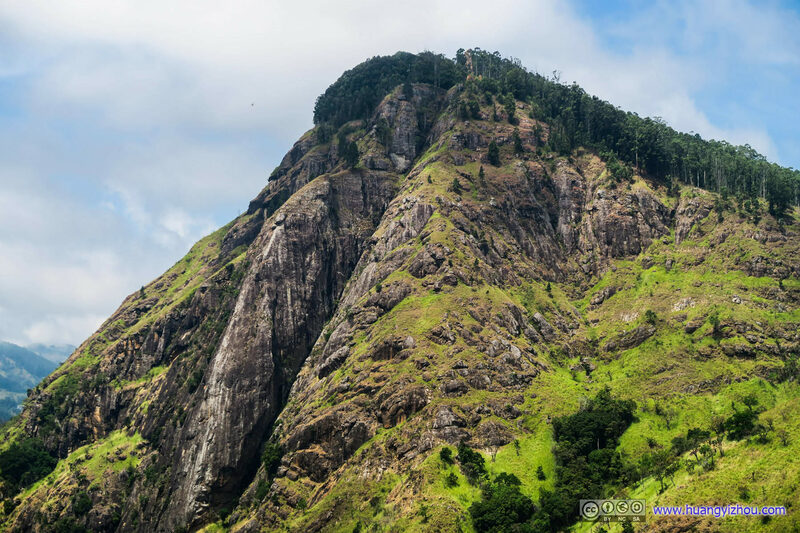 So we checked out of hotel in the morning and reach the foot of Little Adam’s Peak at 10am. By the way there’s some construction on the road leading to Little Adam’s Peak, which wasn’t too much of a problem for us with a van. 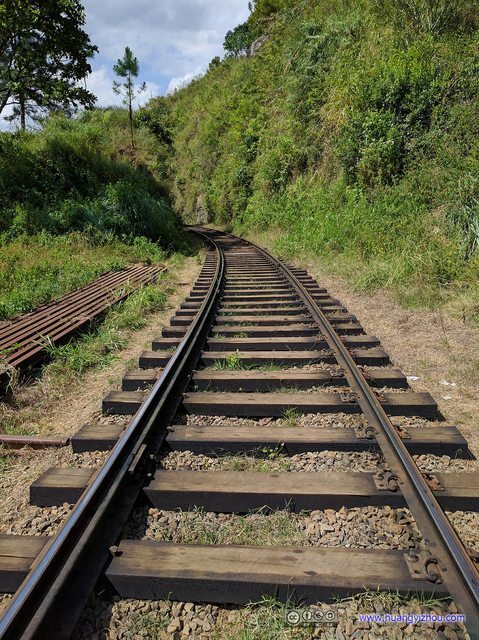 Otherwise, it could be problematic if one decide to hike the mile starting from train station. 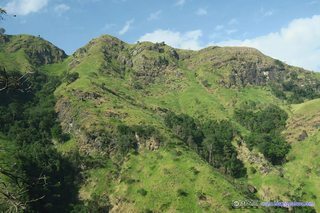 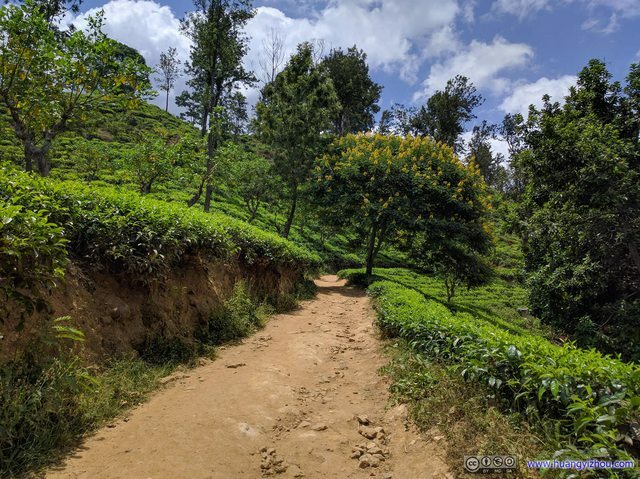 The first part of Little Adam’s Peak trail took us through fields of tea, which is typical Sri Lanka countryside, with majestic views of Ella Rock on the opposite side of the valley. As far as I could see, Little Adam’s Peak has three “peaks”, sort of. The Northern two were just on the trail with higher elevation, and it took some steep descent and ascent to reach the Southern one. It seemed that this creature was camera-shy. So we spent about an hour and half on Little Adam’s Peaks before heading down the trail. 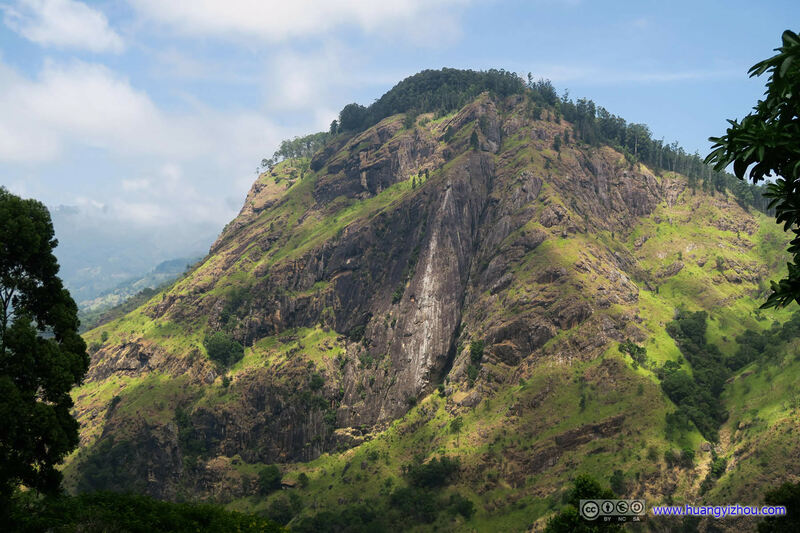 So a quite conclusion about Little Adam’s Peak, I liked it. 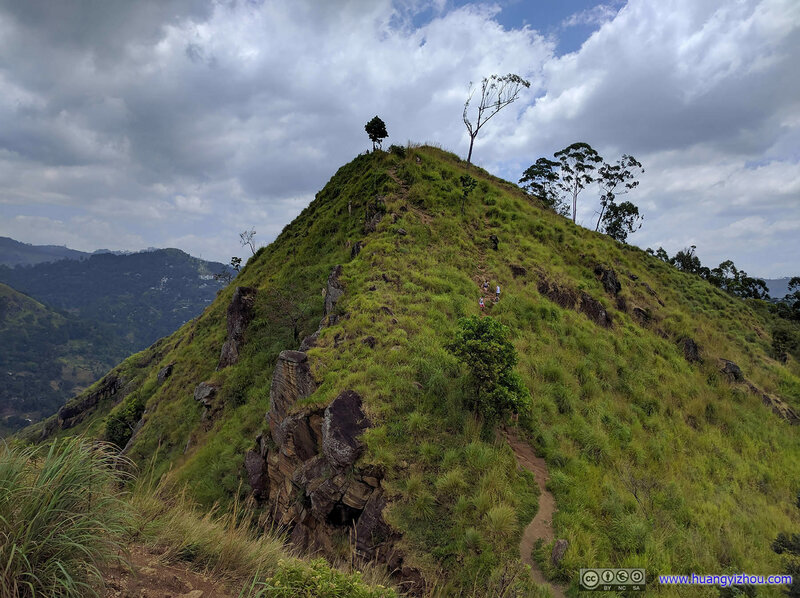 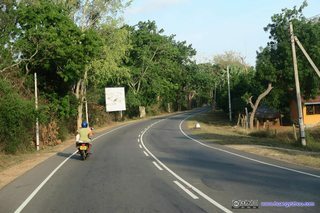 It’s free (which is very un-Sri Lankan), it got amazing views, and its trail wasn’t too long, and it’s not crowded. 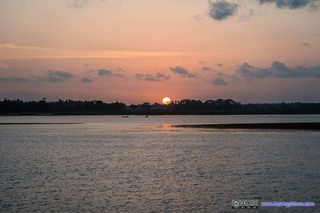 What could one ask for more? 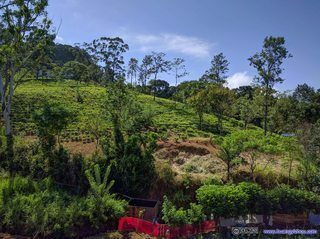 There’s a restaurant called “Ella Flower Garden Resort” just by the beginning of trail, where we decided to have our lunch. Amazingly, it cooked quite good dishes to our foreign taste. 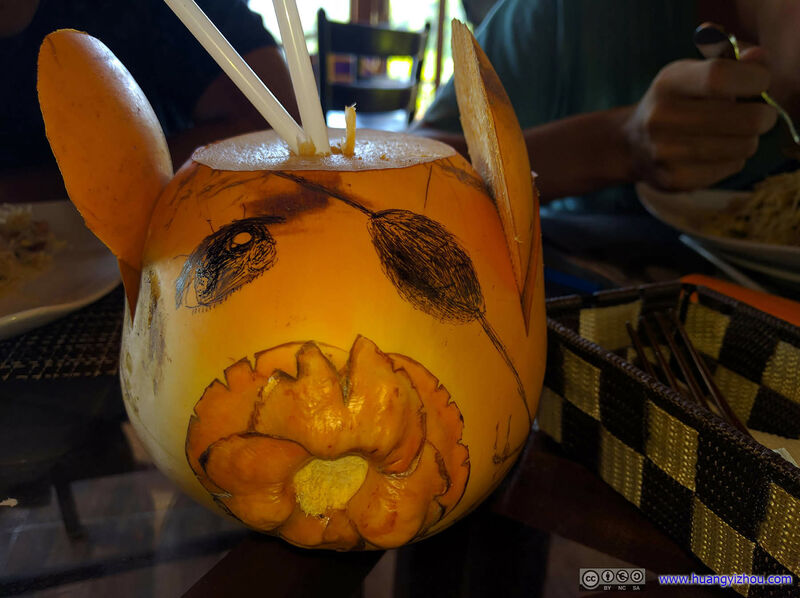 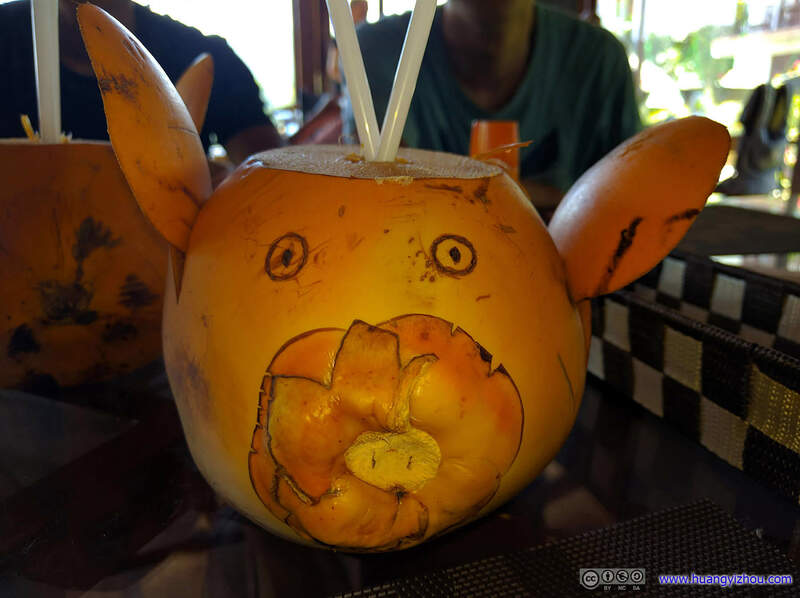 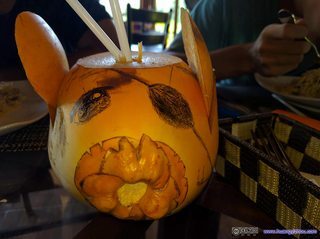 Yes, it took them forever to serve the dishes, just like any other Sri Lankan restaurant, but the waiters bothered to make some decorations to the coconuts ordered, which sparked our infinite imagination as we started further decoration as we waited. 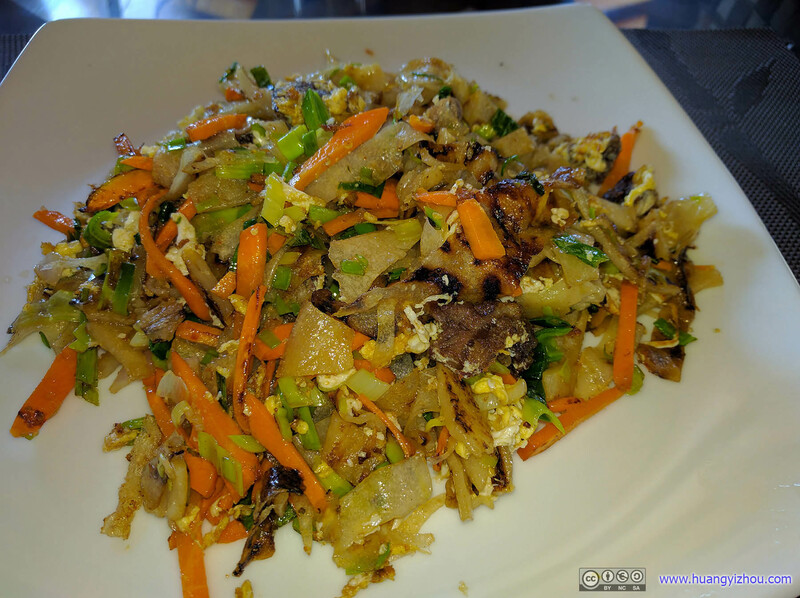 I learned that Kottu is a Sri Lankan dish that I can appreciate. After lunch, our driver took us to Nine Arch Bridge, which is a railway bridge where people took wonderful pictures. 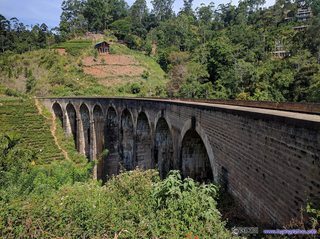 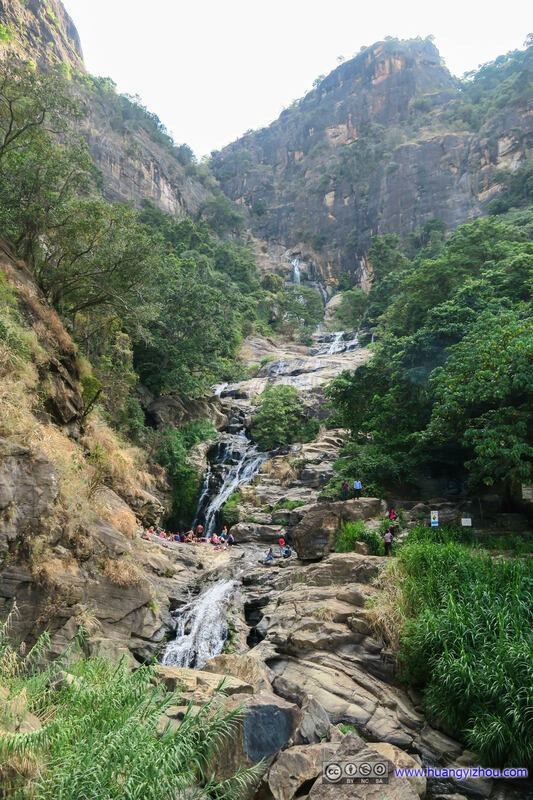 To reach Nine Arch Bridge it was a 550 meters walk (with 60 meter elevation change) down to a viewpoint, which is called Nisee Juice Bar on Google Maps. After which it was a hike through people’s backyards and terraced rice fields down to the actual track. 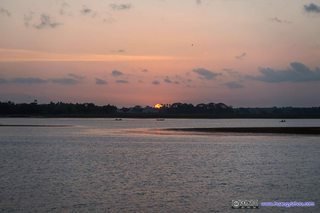 Unfortunately, I don’t think the middle of a bright sunny day day is a good time to take photos of the bridge, a cloudy day or twilight would be much better in my opinion. (In this case some Horton Plains mist would help.) And I do believe the best photos came from the viewpoint, which would save one the laborious (and to my friends who got cut by the plants, hazardous) journey down to the tracks. 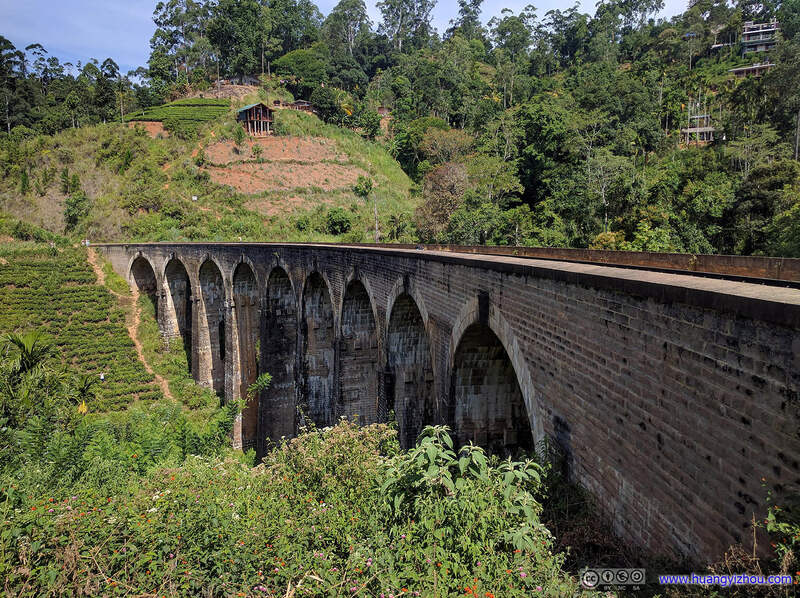 Of course, that is, if you check train timetables and (in the case of Sri Lanka’s unpunctual trains) luck was on your side. 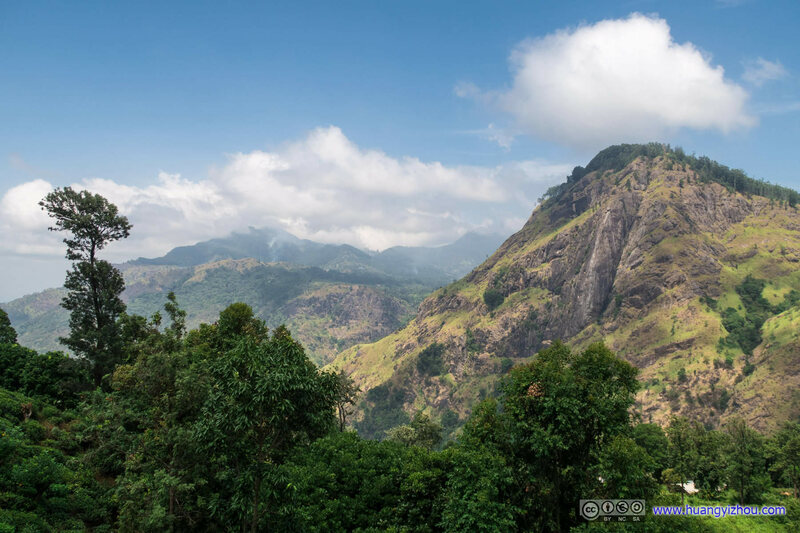 So after all these, we got onto the van and began a two-hour road trip to Tissamaharama, the first leg of which passed through the same valley that Little Adam’s Peak overlooked. On the way to Tissamaharama we passed Ravana Falls, which could be seen from Little Adam’s Peak. 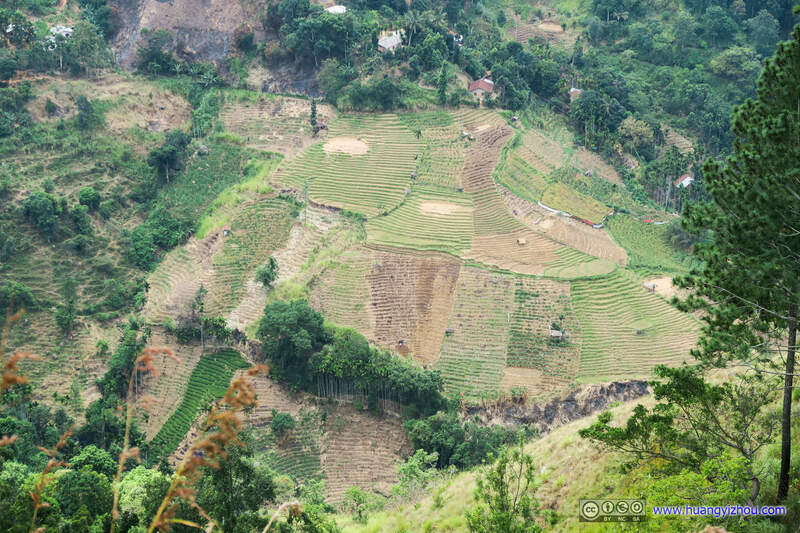 Unfortunately it’s dry season in Ella, so there wasn’t much water. 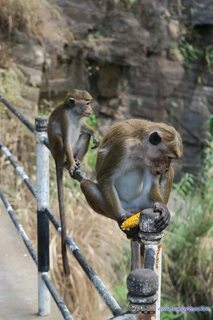 But this won’t stop tourist vans from making a stop here (and us taking photos), or the pack of monkeys on the scrounge of visitors’ food. 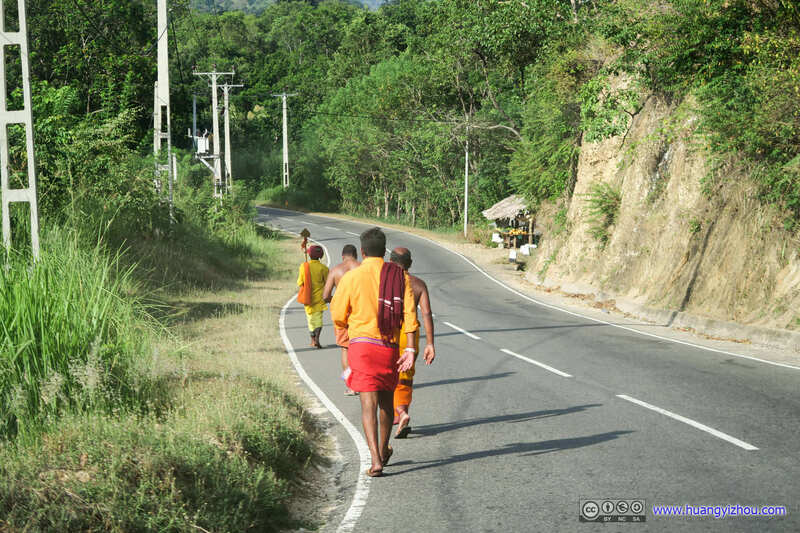 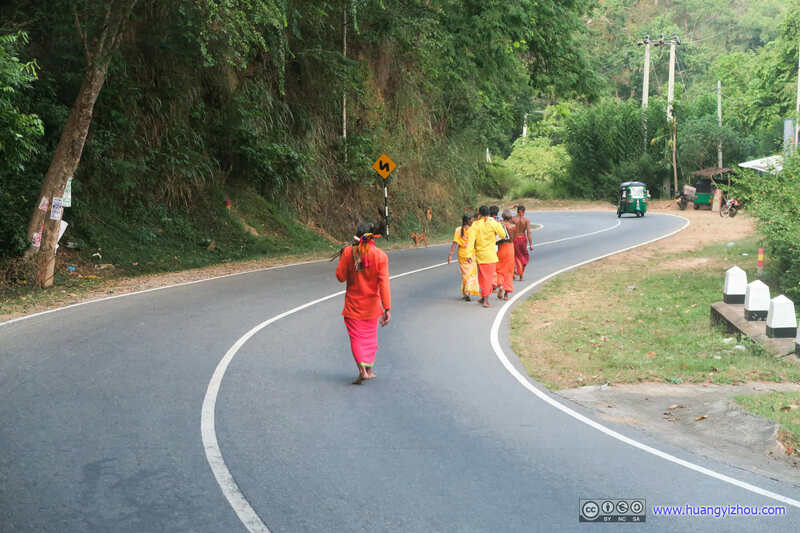 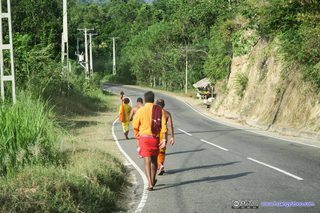 Our driver told us there’s a huge religious festival in South Sri Lanka in a few days, and these pilgrims were making a journey on foot there. 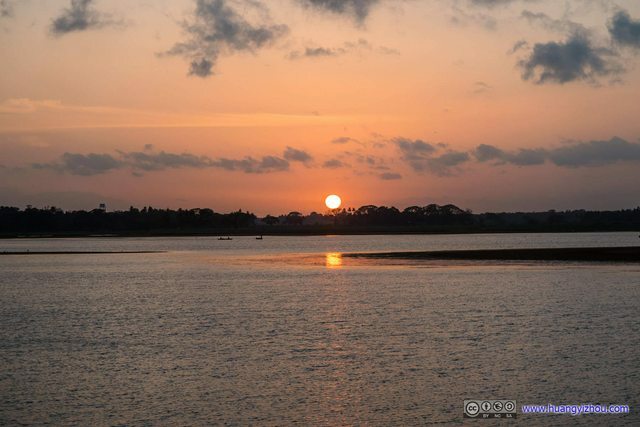 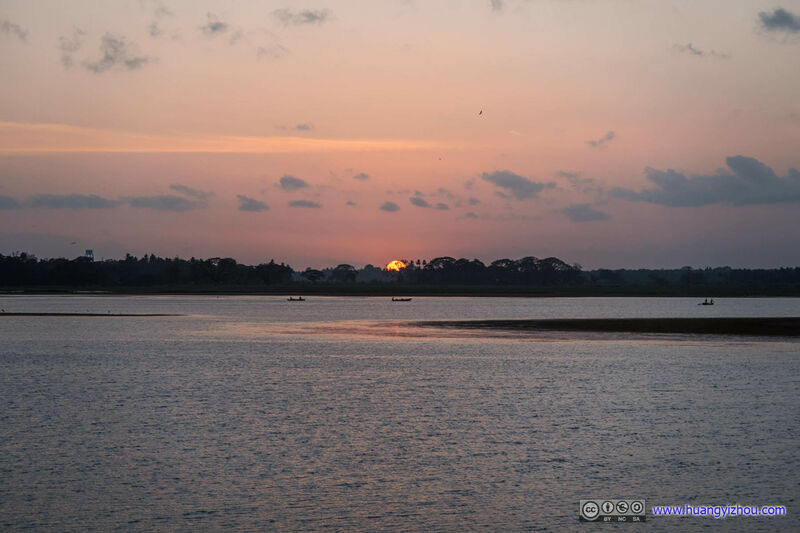 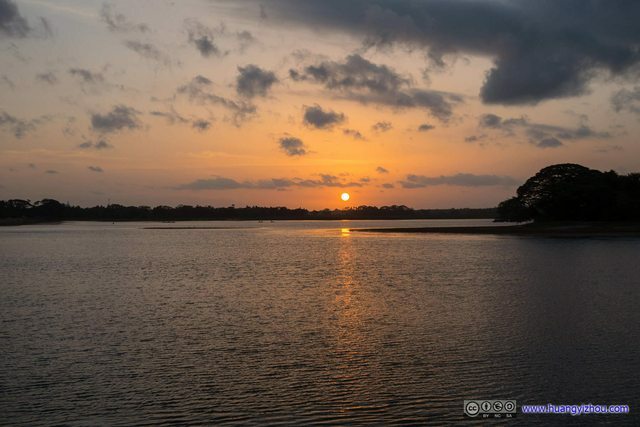 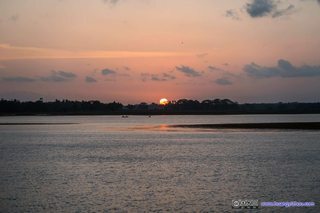 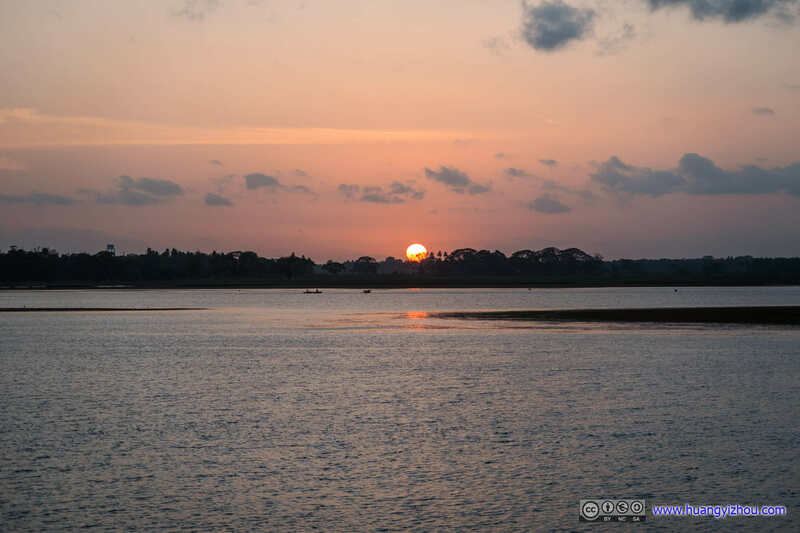 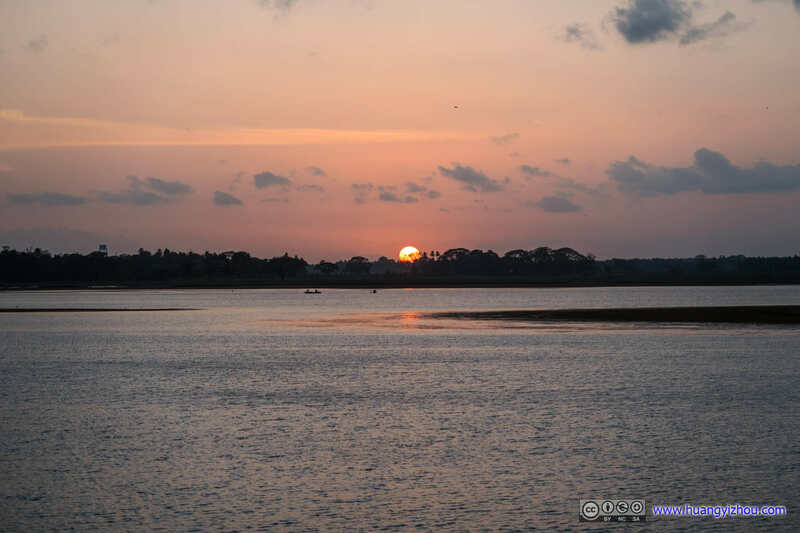 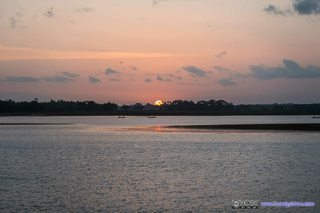 After arriving in Tissamaharama and checking into the hotel, our driver took us to the side of Tissa Lake where we could end our day with views of sunset. 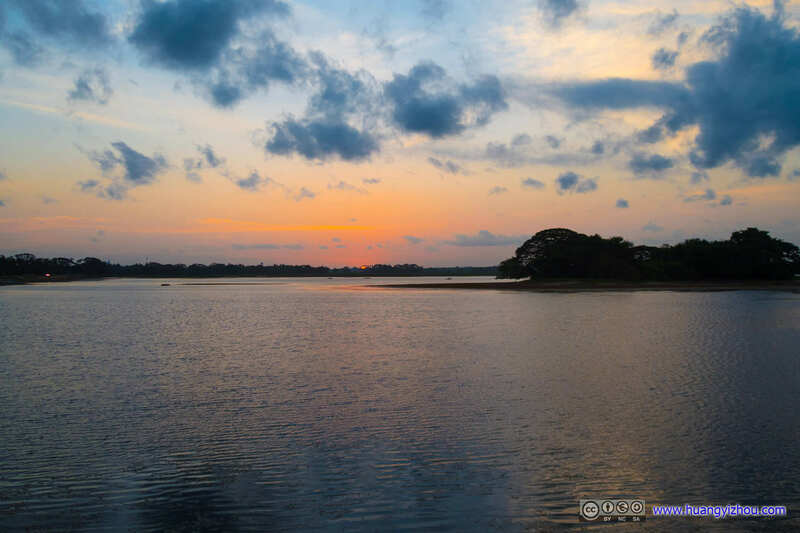 However, after that, the town of Tissamaharama was literally a ghost town for foreign tourists, as we scoured the main street for a decent restaurant for dinner, which there wasn’t (another reason might be that the sun has set, which for locals, meant that the day’s over). 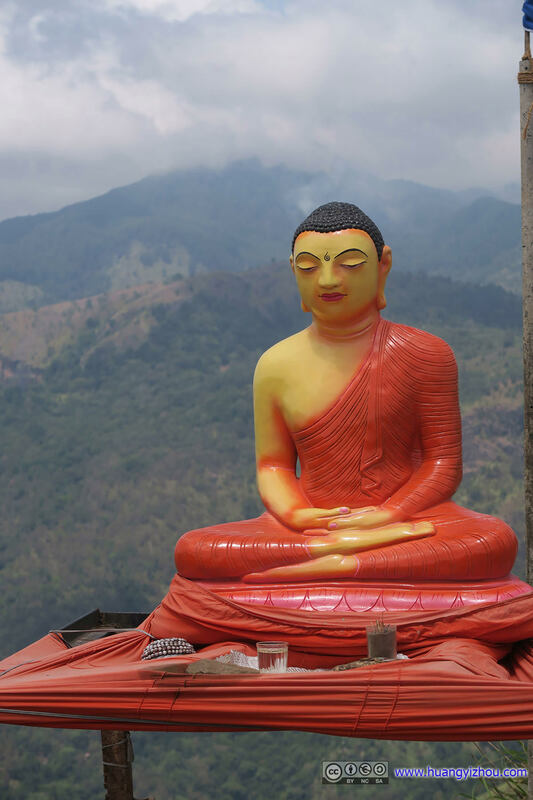 Finally, we made do with a local Sri Lankan restaurant where I tried really hard to finish part of my dinner (so as not to be too rude to the manager, who presumably took ever grain of rice as precious blessings from Buddha) before I was spiced to death. But to be fair, one of my friends who came from some chili-indulging part of China found these local food rather palatable. After that, we found a bakery shop and gladly stuffed up our bags for the night, and for tomorrow’s excursion to Yala National Park. 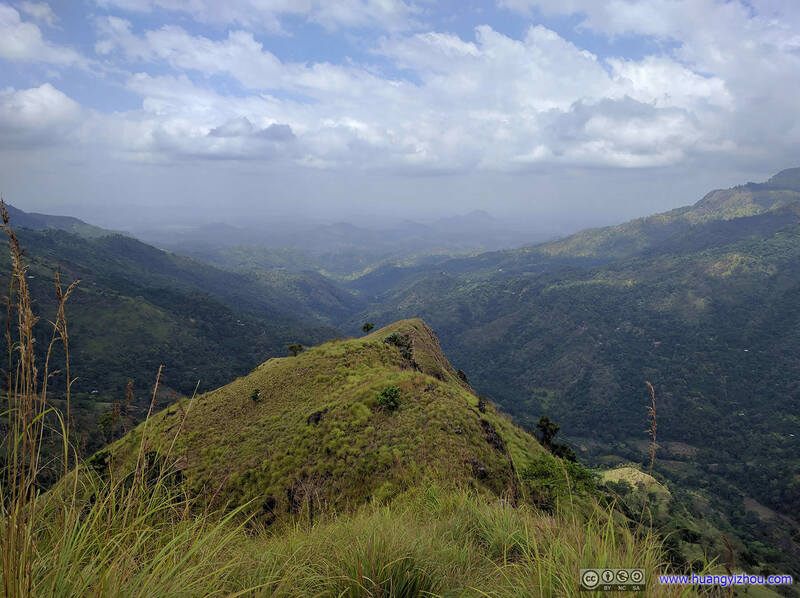 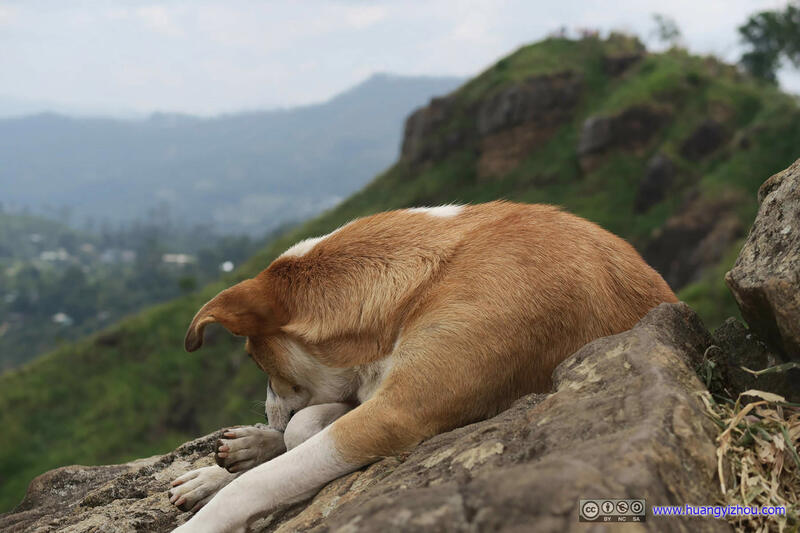 Day 10 of Sri Lanka Trip, Ella on July 20, 2017 by Huang's Site is licensed under a Creative Commons Attribution-NonCommercial-ShareAlike 4.0 International License.